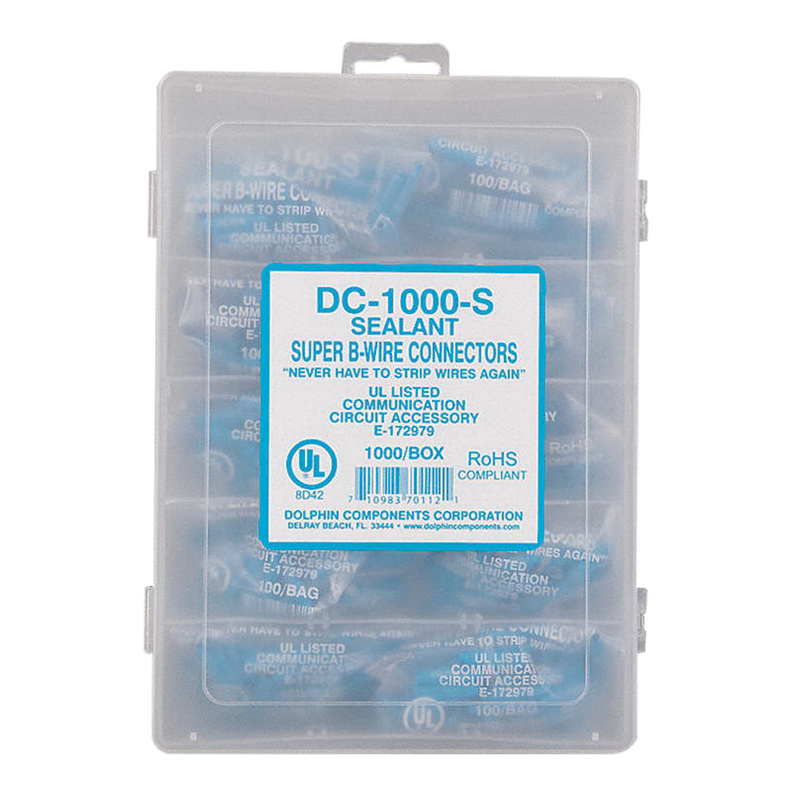 Dolphin Components Corporation Super B moisture resistant insulation displacement connector in blue color, accommodates 26 - 16-AWG run and tap conductors. The 1-Port connector with 0.194-Inch Dia PVC insulation, is preferable for telecommunications and electrical cables. It positions wire perfectly for a single crimp and minimizes wire strand hang-up. It has a voltage rating of 300-Volts and temperature of -30 to 475 deg F. Connector is UL listed.